PLATFORM HGT: 45'; LIFT CAPACITY: 500 lbs. ; DIMEN: 30" X 72"
MACHINE WEIGHT: APPROX. 14,200 lbs. 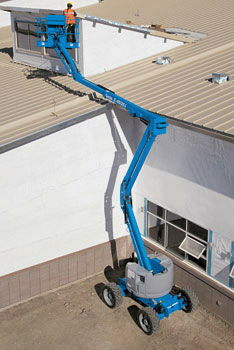 * Please call us for any questions on our lift boom 45 foot 7 foot 6 inch wide rentals in Santa Barbara CA.